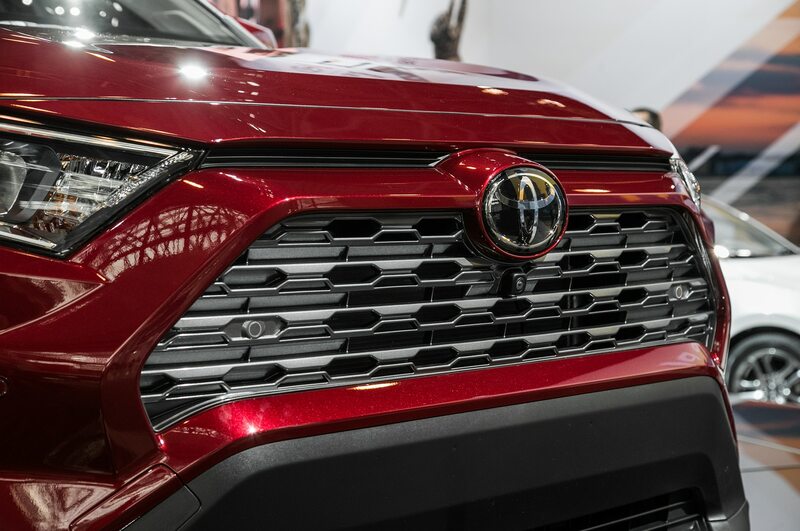 The people in charge of Toyota are clearly determined to shed the brand’s boring image at all cost. 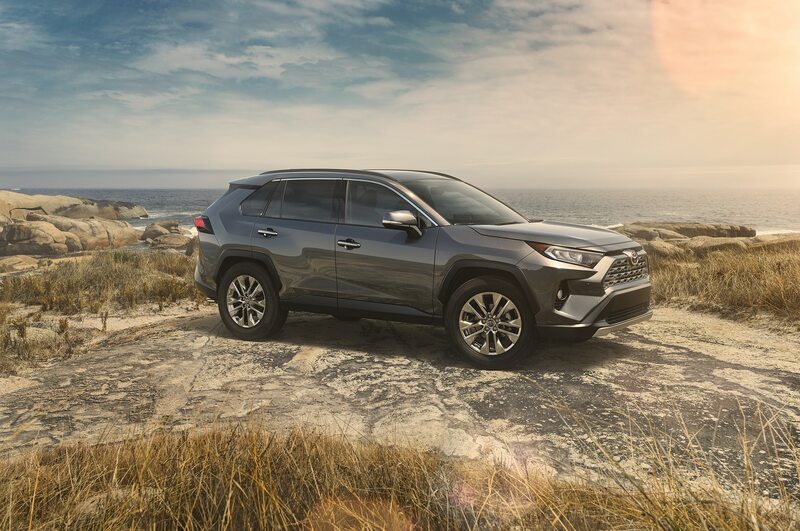 Following last year’s debut of the genuinely fun-to-drive 2018 Camry and the recent reveal of the enthusiast-friendly 2019 Corolla Hatchback, which features a multi-link rear suspension and can be had with a manual transmission, comes the 2019 Toyota Rav4. 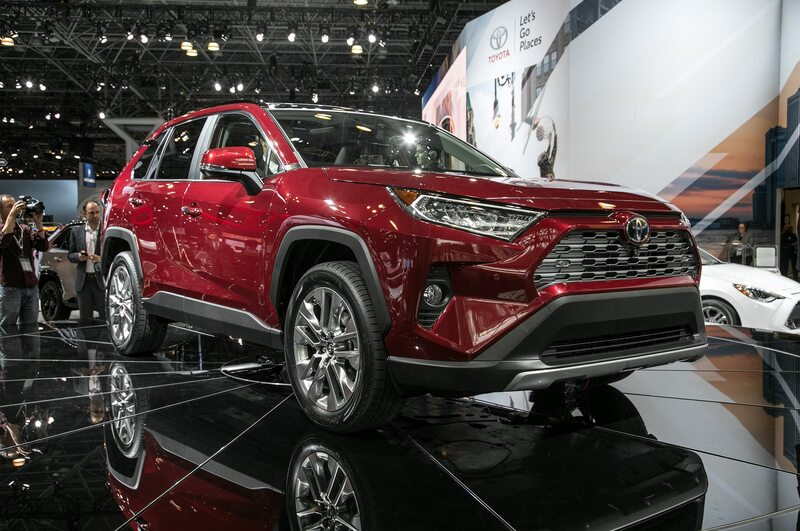 Based on the looks and initial details, this appears to be the most interesting version of the compact crossover since the mid-90s original, which was offered as a pint-size two-door and with a stick. 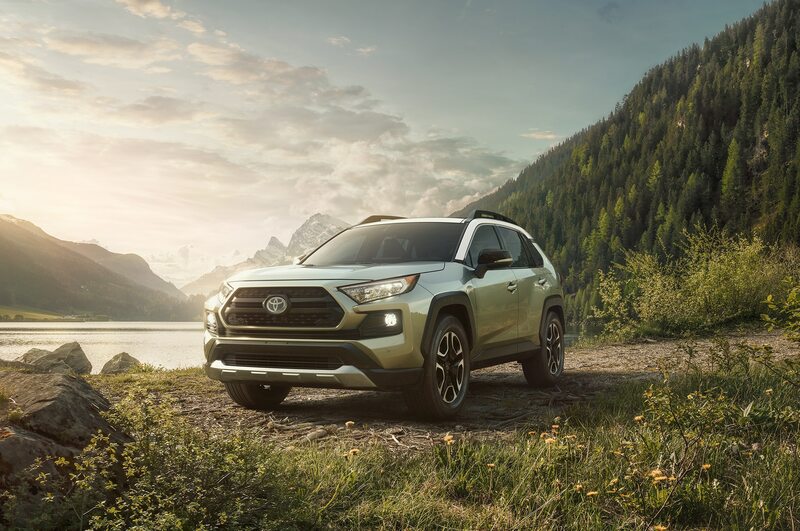 While neither of those last two elements is making a comeback on the 2019 Rav4, it wouldn’t be too surprising for today’s excitement-curious Toyota to drop those on us as part of an entirely separate vehicle. 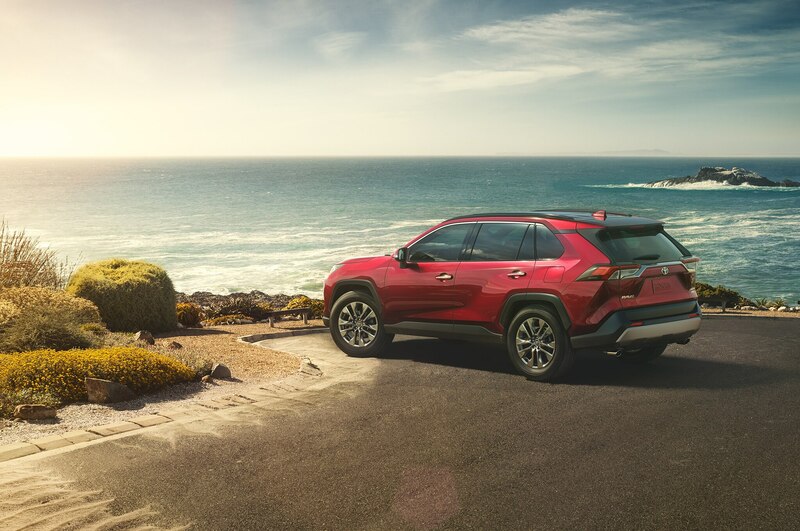 Instead, the new Rav4 features the buyer’s choice of a 2.5-liter I-4 mated to an eight-speed automatic or a hybrid variant that combines a similar 2.5-liter I-4 with a CVT and the automaker’s “Toyota Hybrid System II” setup. 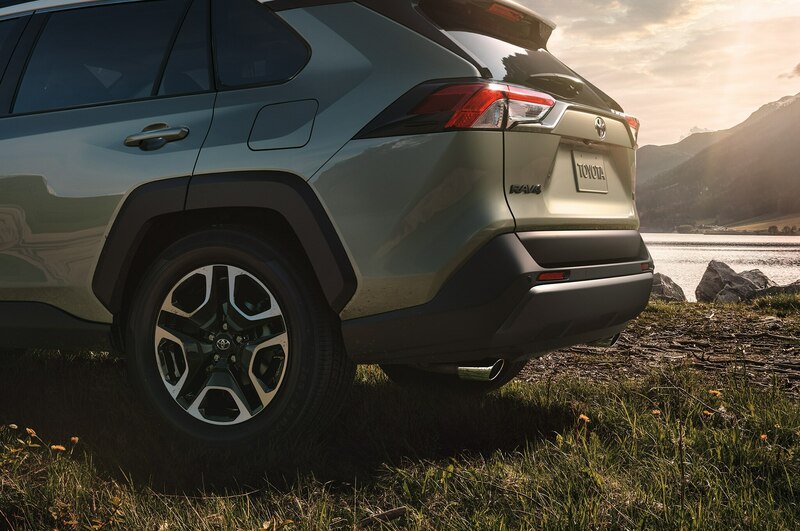 A whopping nine variants will be offered in all—five with the gas-only powertrain and four with the hybrid system. 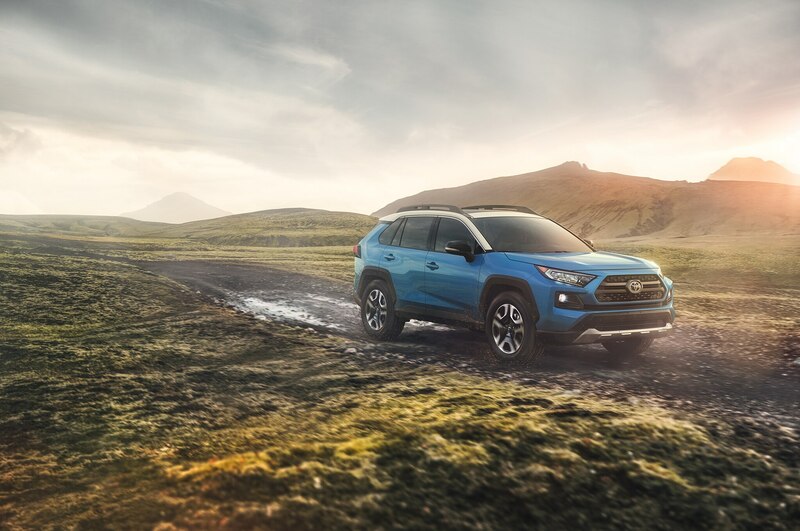 Clearly aware of the Hybrid Synergy Drive’s boredom-inducing reputation, Toyota made it a to claim that the 2019 Rav4 XSE Hybrid will be the quickest and best-handling member of the lineup—a claim bolstered by its multi-link rear suspension. 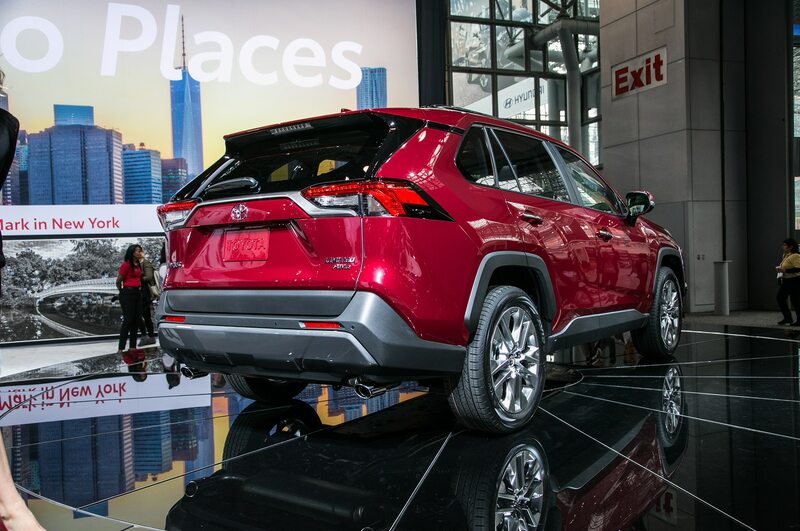 While we’ll have until we get our hands on one to test that claim, we welcome any development that’s destined to disappoint Prius owners. 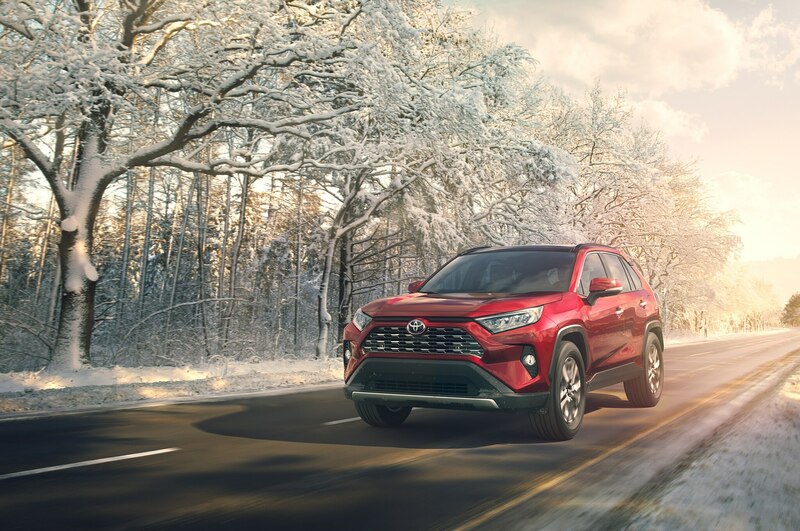 In addition to the two powertrain, Toyota will offer the 2019 Rav4 with three all-wheel drive systems—a basic setup for lower-end gas models, an “intelligent” for the Rav4 Hybrid that uses the electric motor to drive the rear wheels, and the new “Dynamic Torque Vectoring All-Wheel Drive with Rear Driveline Disconnect” setup for the gas-powered Rav4 Limited and Adventure. 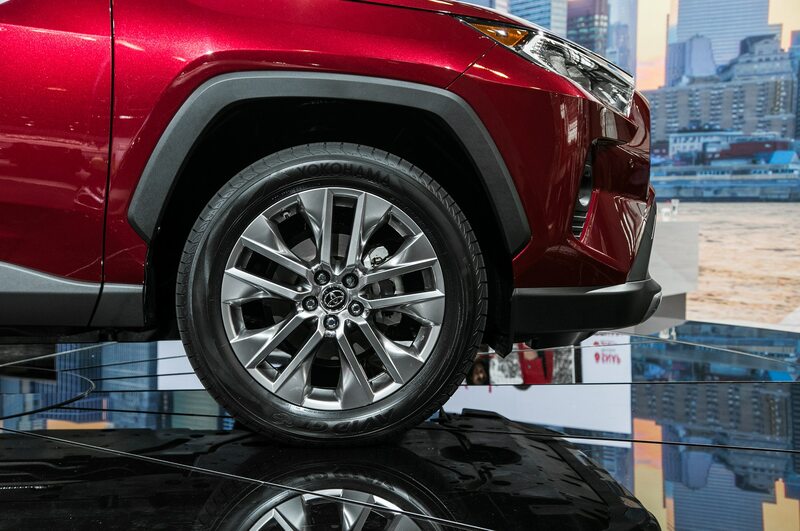 The system can send up to 50% of torque to the rear wheels and send it to the left or right rear wheel as necessary—or effectively disconnect the rear wheels entirely using ratchet-type dog clutches on the front and rear shafts when all-wheel drive functionality isn’t needed, improving fuel economy in the process. 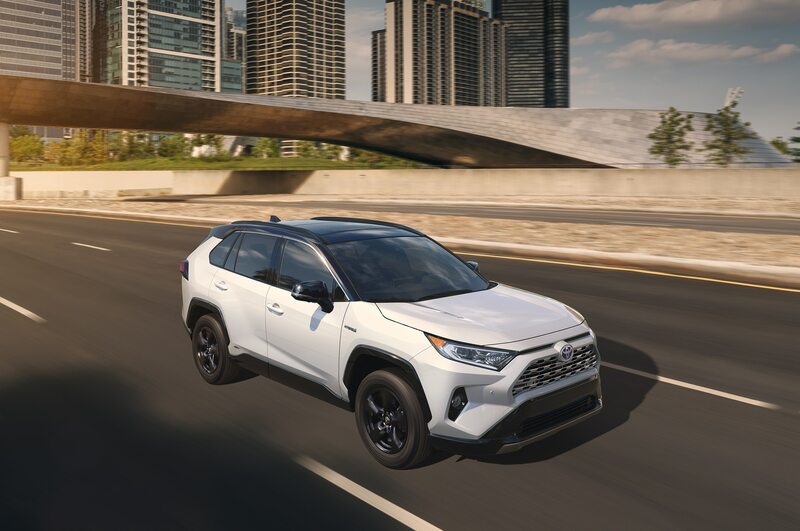 Physically, the 2019 Rav4 doesn’t change much from the outgoing model but there is a slight proportion shift. 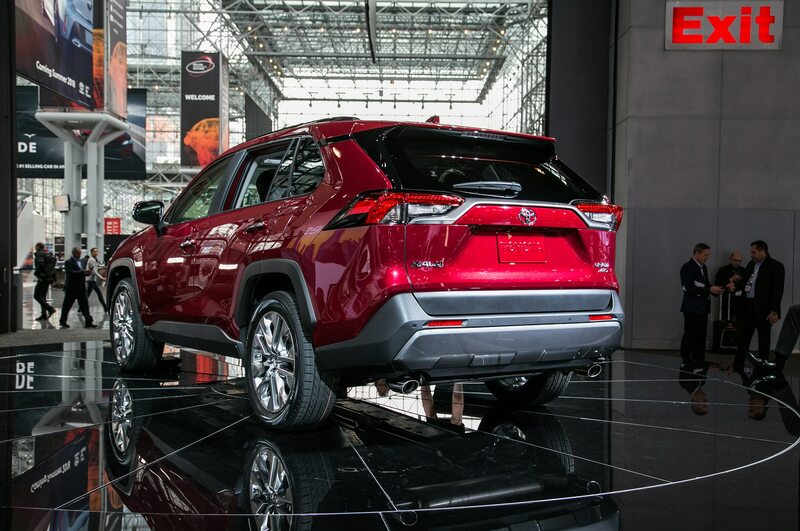 Now riding on Toyota’s New Global Architecture, the Rav4 boasts a 105.9-inch wheelbase, which is 1.2-inch longer than before, while its overall length of 180.9 inches is 0.2-inch shorter. 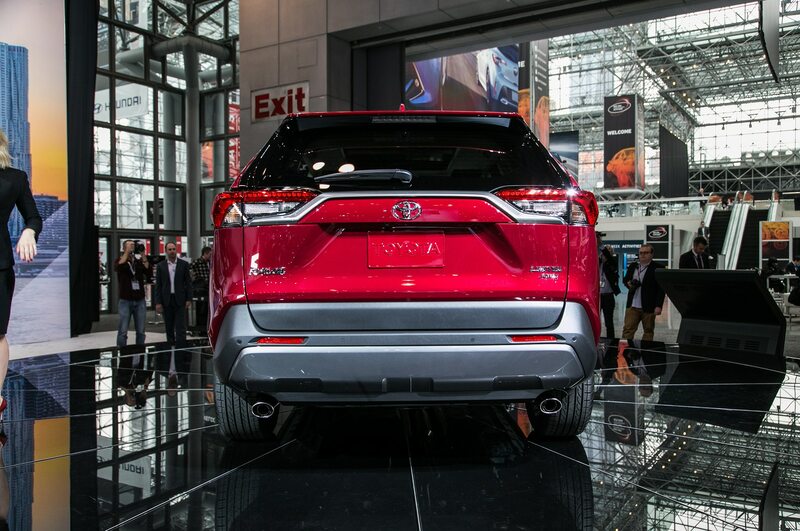 Width measures in at 73.0 inches, a 0.4-inch increase, while height drops 0.2 inch to 66.9 inches. 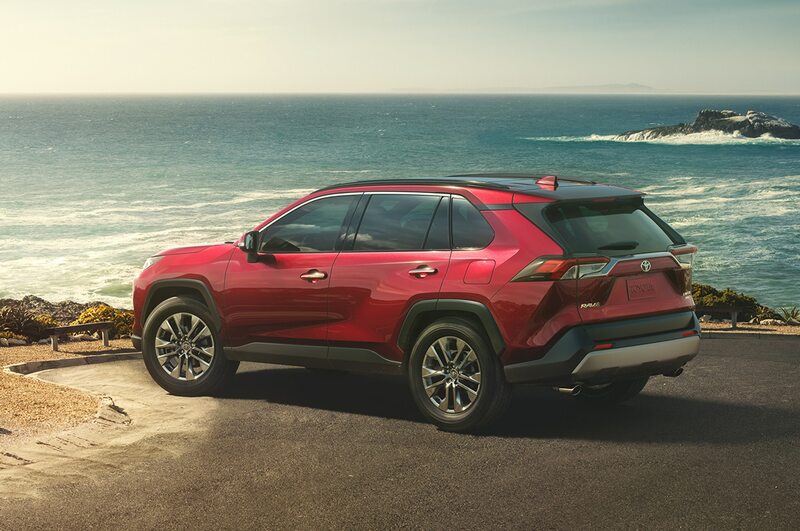 Despite the similar proportions, nobody will mistake a 2019 Rav4 for a 2018. 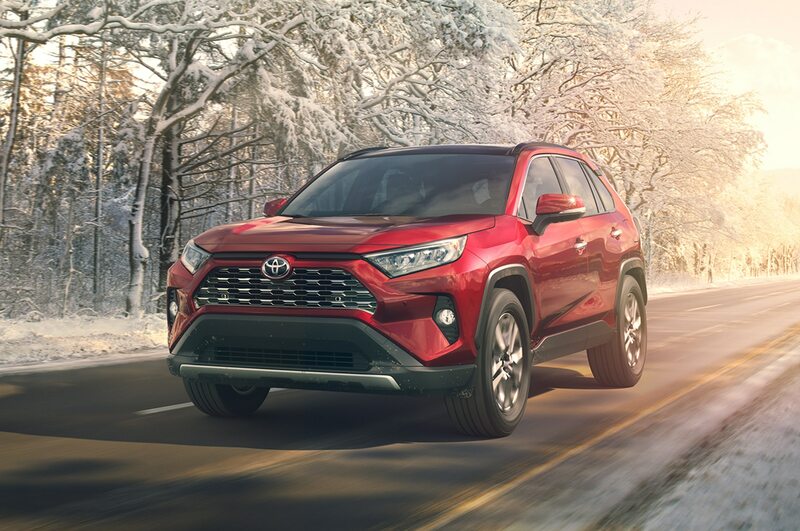 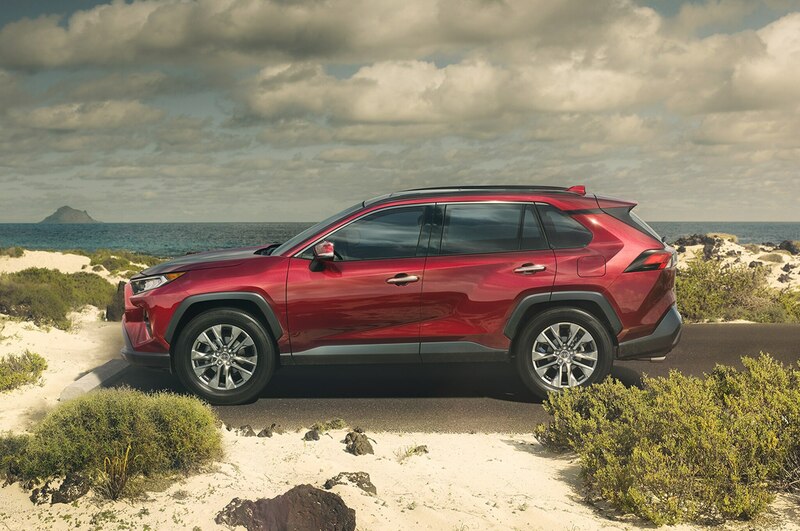 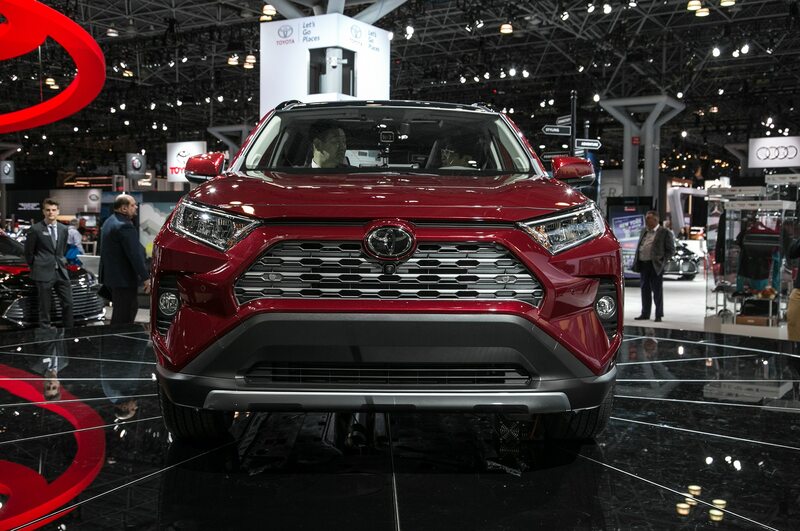 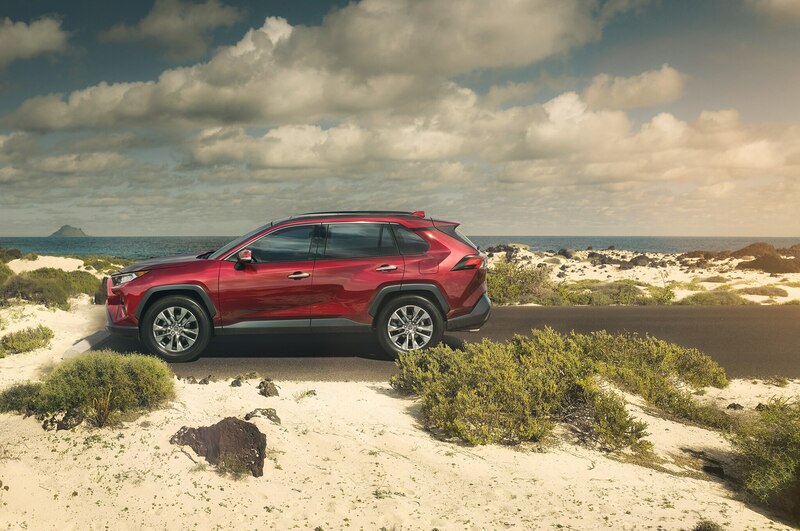 The basic crossover shape and front-end design are dropped in favor of a beefier look that feels like a mashup of the Tacoma’s front end with the Lexus NX, albeit with a much more vertical D-pillar than the compact Lexus. 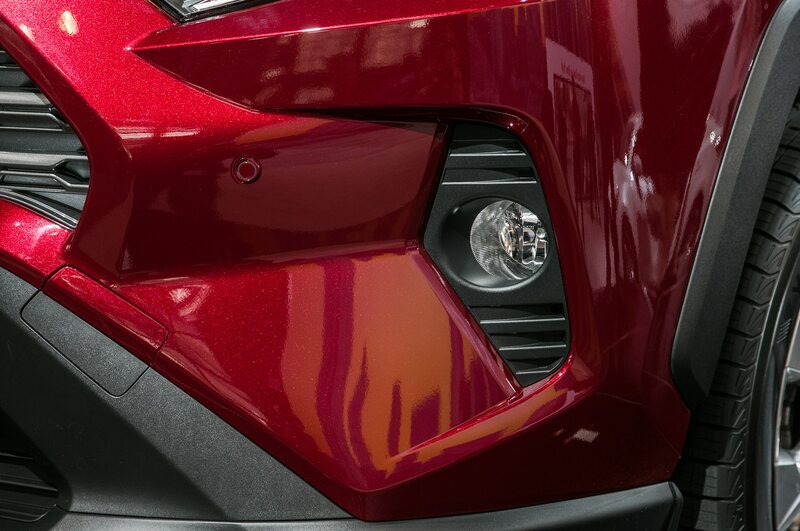 Some models, including the Adventure and XSE Hybrid, will be offered with a two-tone paint scheme similar to those offered on the subcompact C-HR. 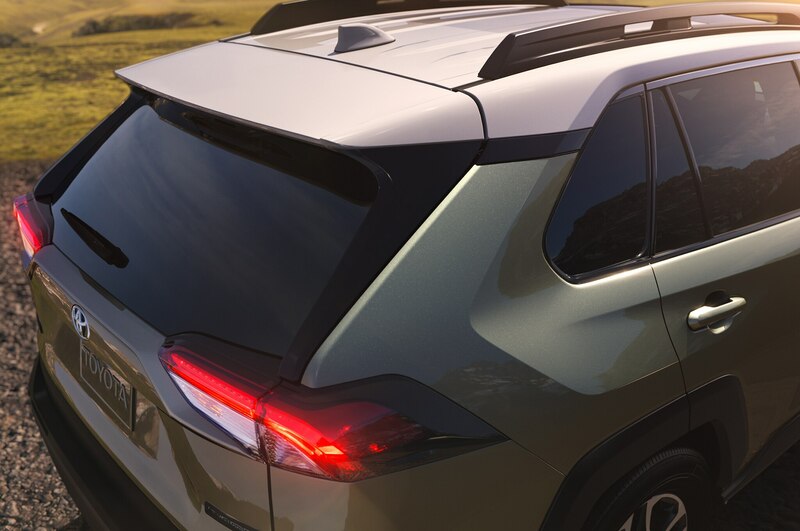 A lot more excitement has been penciled into the rear-end as well, and the tail of the Rav4 is no longer an anonymous slab. 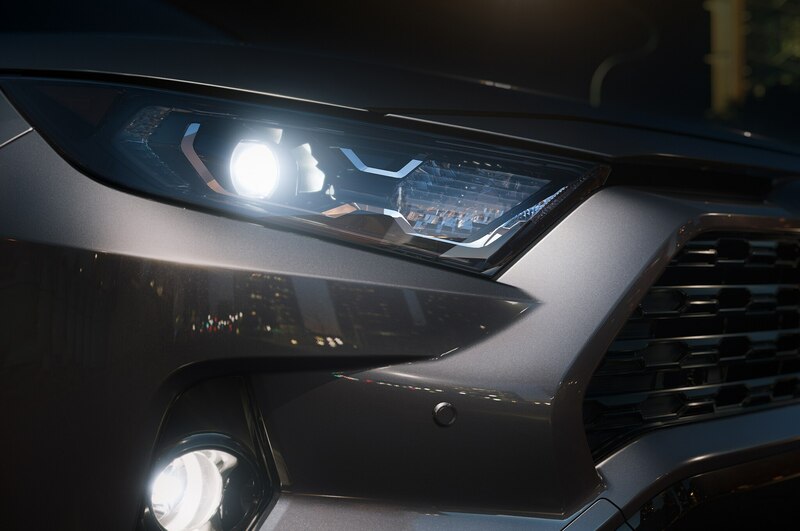 Black plastic cladding is judiciously used over the wheel wells, on the running boards, and in the front and rear fascias to provide a rugged-enough look to at least briefly peel away the eyes of Subaru lovers. 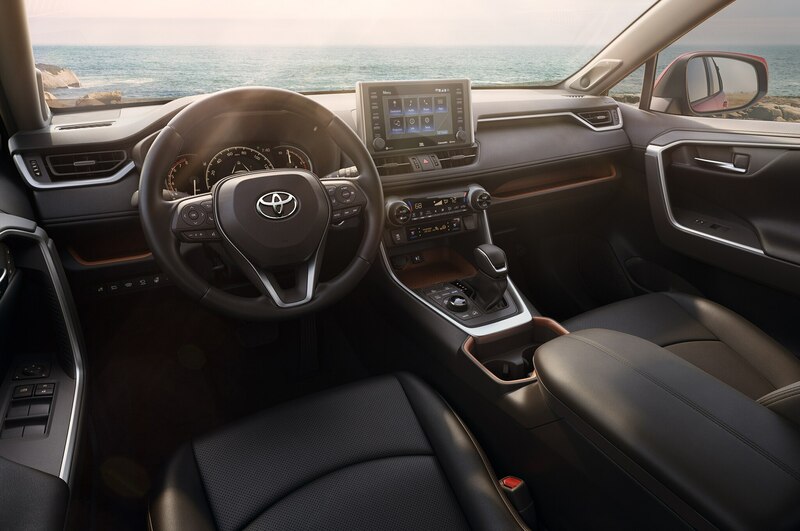 The interior of the Rav4 is thoroughly revamped as well, though the steering wheel remains largely the same. 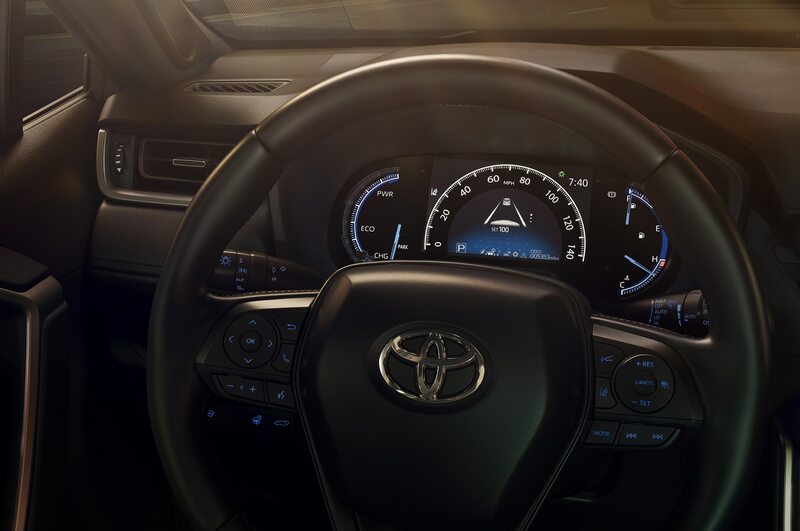 The new car’s dash features a protruding screen in the center, which sits above a pair of narrow vents. 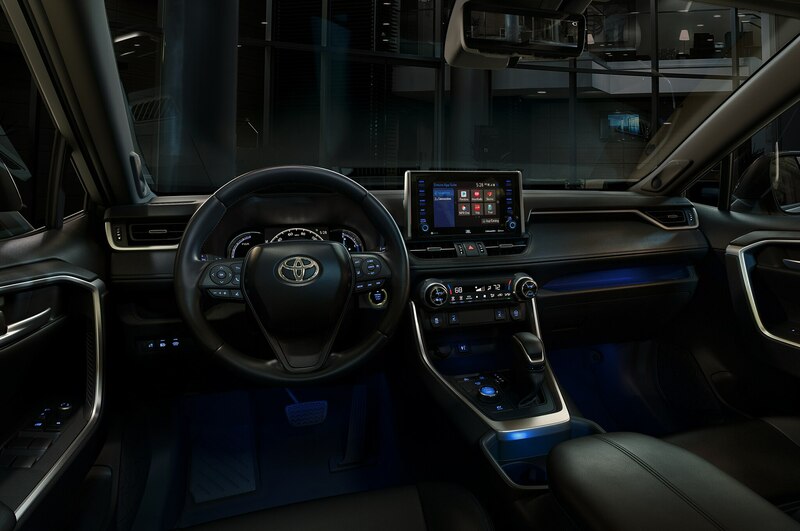 Toyota opted to keep a traditional shifter, which is joined by the mode select knob and several buttons. 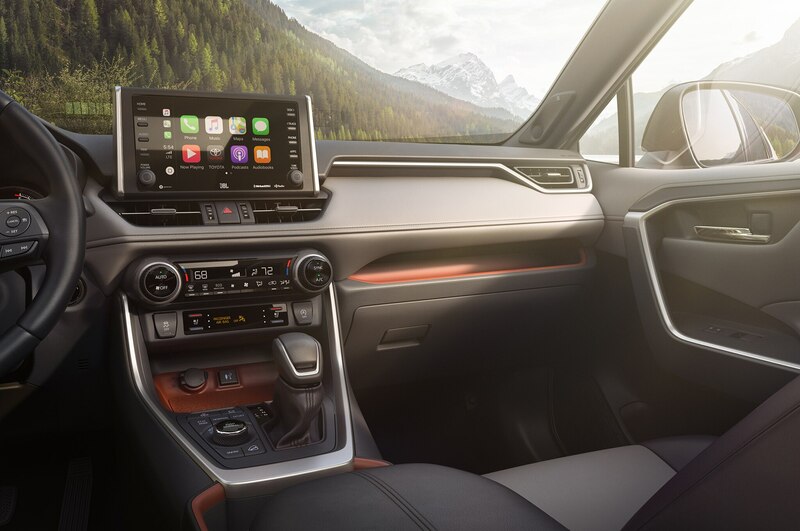 More importantly, given that Toyota hopes to lure millenials to the Rav4, Apple CarPlay is now standard alongside Amazon Alexa and Wi-Fi connectivity. 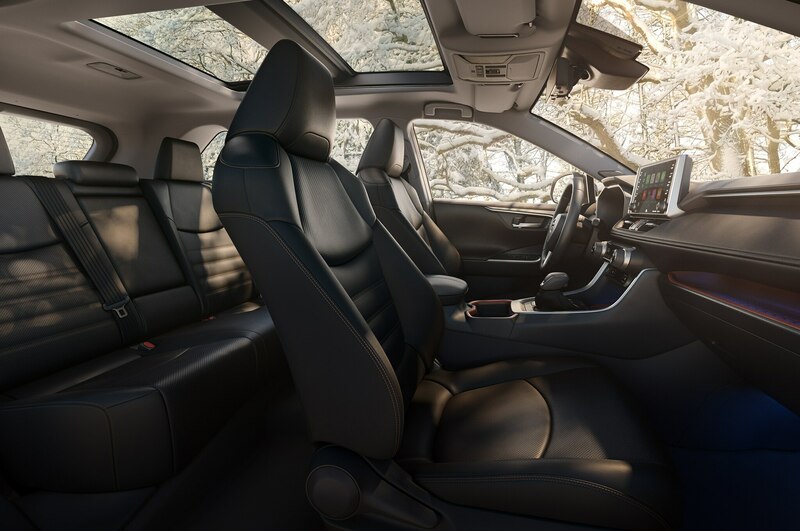 Android users get left out in the cold, however, as Android Auto is nowhere to be found. 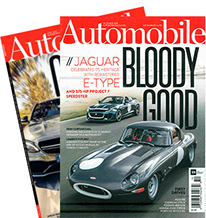 A seven-inch screen is standard, while an eight-inch screen is offered as an option. 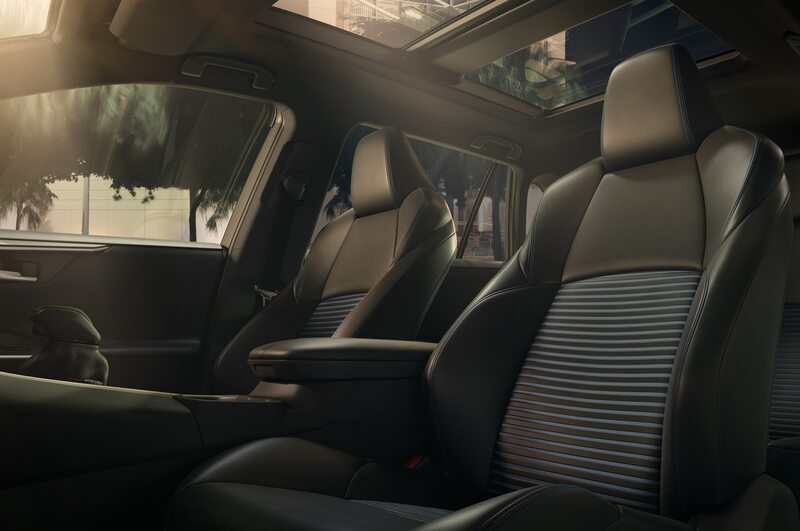 Wireless charging and up to five USB slots are available as well, as is an 800-watt JBL audio system for those that enjoy aggressive stimulation of the eardrums. 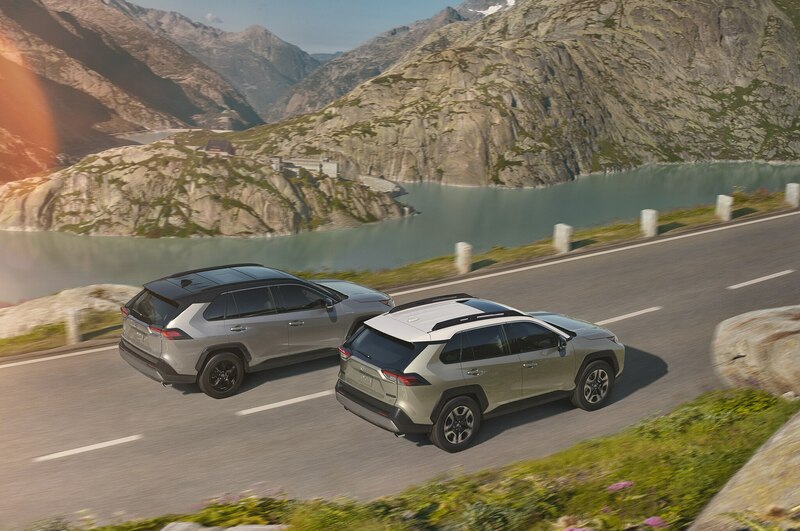 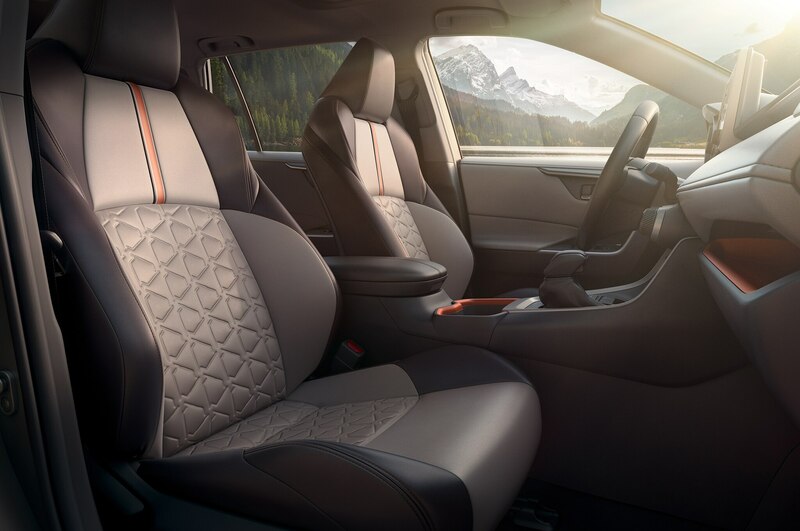 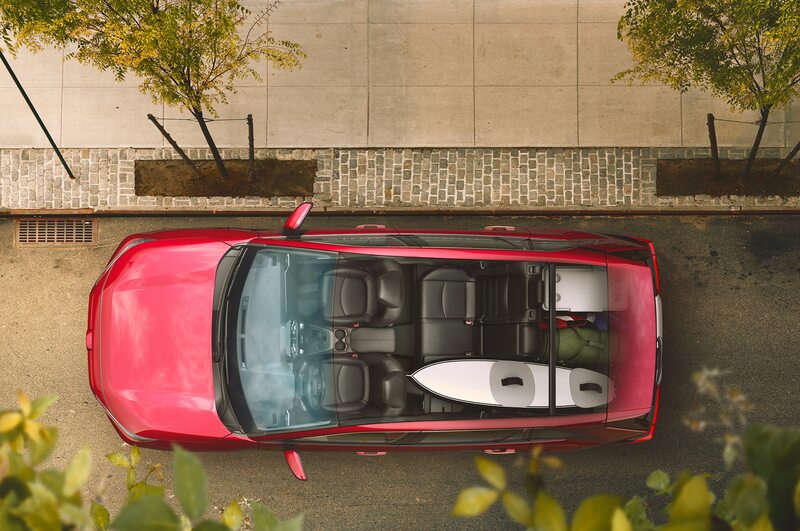 All 2019 Rav4’s also come with the second-generation version of Toyota Safety Sense suite. 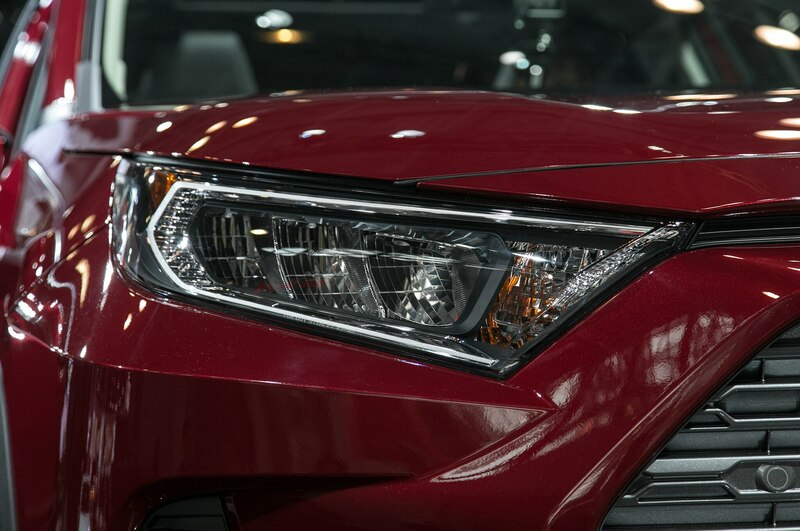 TSS 2.0 is comprised of a Pre-Collision System with Pedestrian Detection (effectively, a combination of forward collision warning and automatic emergency braking functionalities), Full-Speed Range Dynamic Radar Cruise Control (functions at speeds between 0 and 110 mph, including in stop-and-go traffic), Lane Departure Alert with Steering Assist, Automatic High Beams, Lance Tracing Assist (a new highway-only system that works in tandem with DRCC to keep the car on-center using lane markers or the path of the preceding vehicle), and Road Sign Assist (another new system, it can identify stop, yield, do not enter, and speed limit signs). 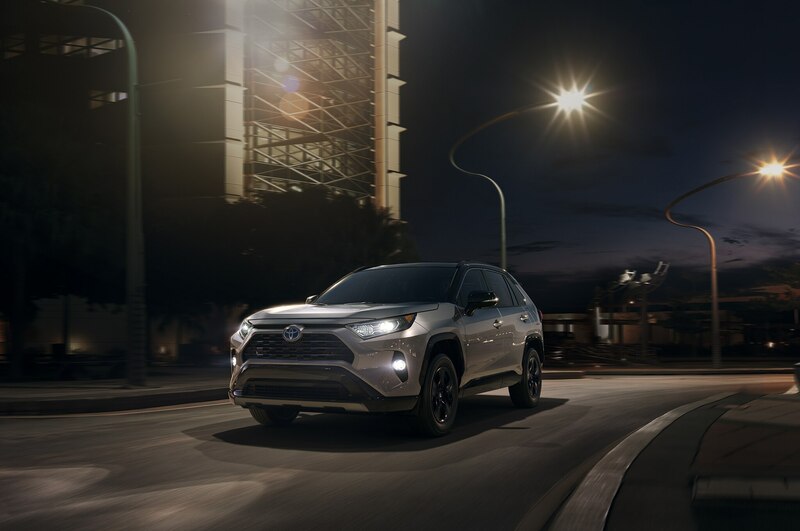 Should the 2019 Toyota Rav4’s beefier new look have you hot and bothered to get one in your garage, don’t rush to trade in your current rig quite yet. 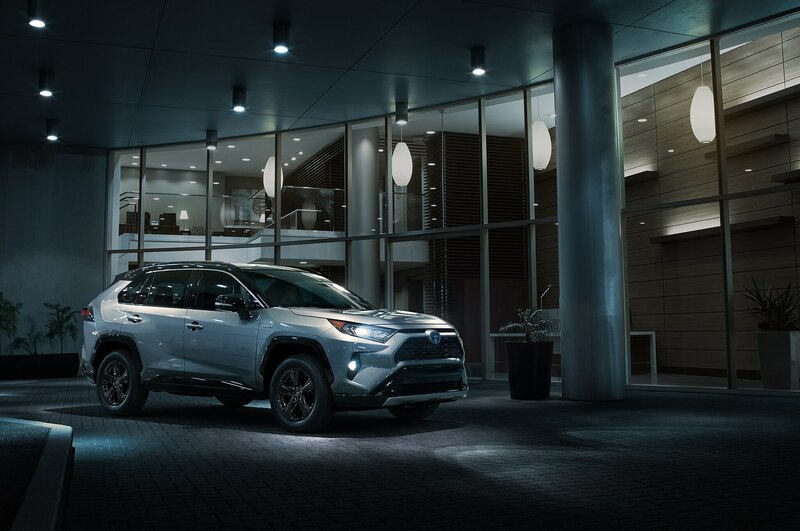 The gasoline-only variants of the 2019 Toyota Rav4 aren’t scheduled to arrive in showrooms until around December, while would-be buyers of the 2019 Rav4 Hybrid will have to wait until early 2019. 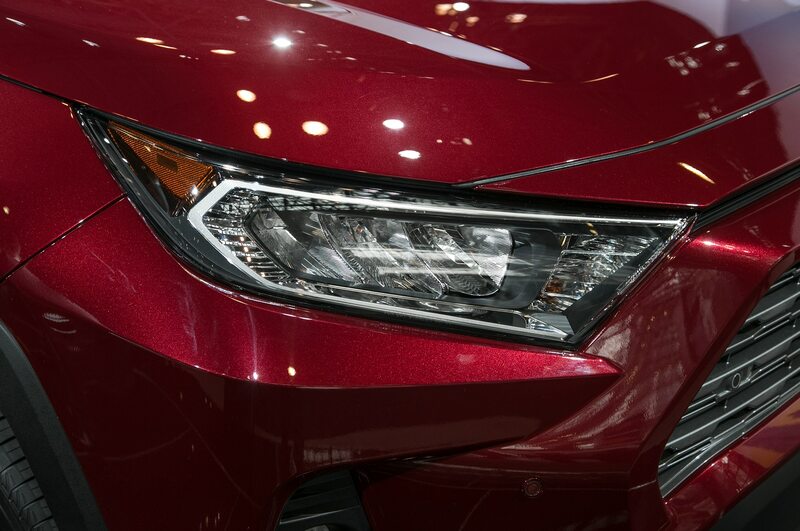 Detailed specs and pricing will, of course, be announced sometime during the coming months.